This week the U9A team took on Handcross Park and Bethany was today’s captain. Handcross had the first centre pass and they quickly got the ball into their shooters and scored the first goal of the game. They were moving nicely and I could see we were going to be in for a good game. Copthorne quickly replied with a great goal from Rachel. Throughout the first quarter the teams seemed fairly even and the ball was moving well down to both ends, both teams were making great interceptions and Handcross were fighting for the ball. The score after the first quarter was 2-1 to Handcross. After a positive team talk the girls were ready to fight for the ball and were determined to score more goals. We talked about timing our dodges and making every pass count. In the second quarter the girls were on fire and playing the netball I knew they could. They were first to every loose ball, marking tightly and making every pass count. 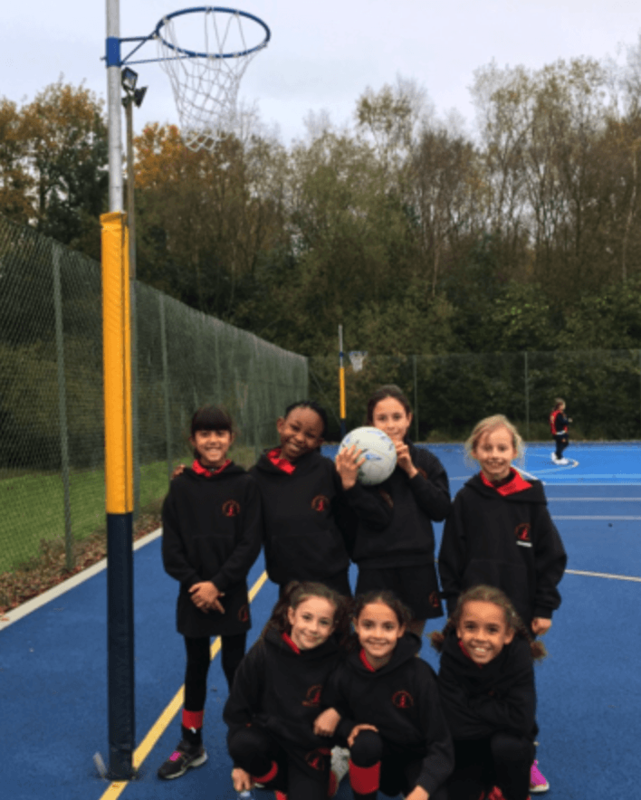 Talia, Anna and Priya were fantastic in defence limiting the chances Handcross had on goal, Talia and Tianna were making brilliant interceptions and Bella and Rachel were timing their dodges coming forward really well. Great goals were scored by both Bethany and Rachel to bring the score to 5-2 to Copthorne. What a quarter! During the second half the girls continued to play like they wanted to win and work together as a team. This was lovely to see. Further goals came from both Rachel and Bethany to bring the final score to 9-3 to Copthorne. What a brilliant game with great play from both teams. Well done to Anna, Talia, Priya, Tianna, Bella, Rachel and Bethany. This week’s player of the match was Tianna! Great game!